President Peter Mutharika has reiterated his commitment to strengthening cooperation in higher education, science and technology, observing its high time universities started producing graduates with high level skills. The President was speaking when he opened a Ministerial Consultative meeting on the Strengthening of Higher Education, Science and Technology in Africa at Kamuzu Palace on Wednesday. The meeting was held within the context of the African Union’s Agenda 2063 which aims at realizing an integrated, prosperous and peaceful Africa. 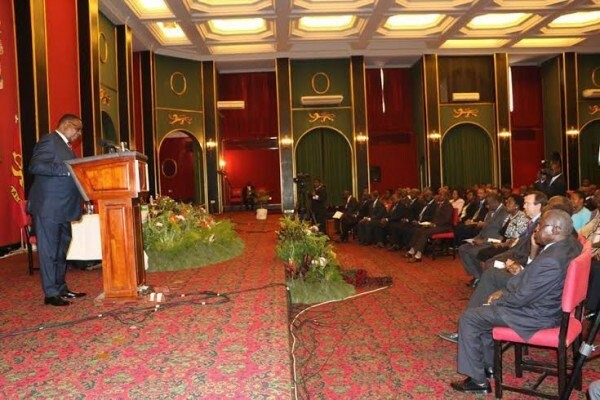 “It is the role of universities to train the future workforce for the continent, to undertake research and to ensure that generated knowledge makes an impact on African societies,” said Mutharika. He noted that higher education in Africa faces some serious challenges that need proper planning and execution. Some of the challenges include low quality of education, inadequate number of qualified staff at PhD level, limited infrastructure, outdated curriculum and pedagogies, lack of innovative delivery methods, inadequate use of information communication technologies (ICTs), inadequate funding to the sector, low research output, and low global competitiveness among others. Of serious complication is the fact that these challenges are further exacerbated by the high demand for access to higher education. As a deliberate policy towards attainment of the said goals, the African Union developed Science, Technology and Innovation Strategy for Africa 2024 (STISA 2024) to ensure science centered technological innovation as the driver for economic development in Africa. Among key conditions under this strategy is the upgrading and/or building research infrastructure, enhancing technical and professional competencies, innovation and entrepreneurship and providing an enabling environment for STI. The Malawi leader views the conditions as pillars and prerequisites for the achievement of the Agenda 2063. Being an accomplished academic himself, the President has all along singled out knowledge as the new currency for development. In line with his long-time competence, he reiterated his and African government’s commitment to national and regional investments in Higher Education, Science and Technology; Commitment to establish an ‘African university ranking system’ that recognizes the specific need for Higher Education in Agriculture and other fields; Commitment to establish a continental ‘accreditation standards and credit transfer system’ and Commitment to develop an ‘academic mobility scheme’ and making it easy for our academia to travel across the continent. He pointed out that his government will continue to put emphasis on higher education as set out in the National Education Sector Plan (2008-2017), and the Malawi Growth and Development Strategy (MDGS II) whose goals and objectives relate to expanded equitable access to education; improved quality and relevance of education; and improved governance and management. The Malawi leader was a few months ago, together with other five eminent global leaders, appointed Higher Education champion. The Ministerial meeting has brought together about 80 participants from over 15 African countries to deliberate on required actions to improve the higher education sector. They will also deliberate on specific actions required to improve the status of higher education in Africa in line with the recent commitments on the Sustainable Development Goals, launched at the United Nations, last month. The meeting has been organized under the auspices of President Mutharika in his capacity as Champion of Higher Learning in Africa.